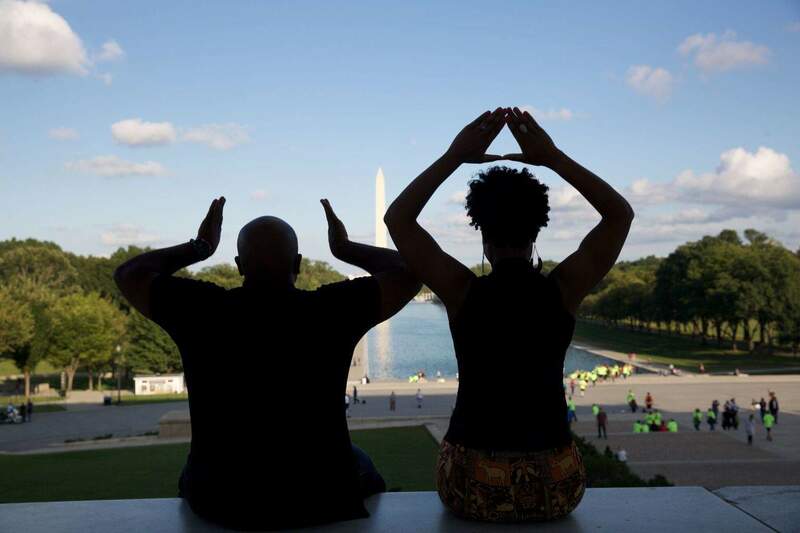 The love between the men of Omega Psi Phi and the women of Delta Sigma Theta has historically been known within the Black greek community as “Coleman Love” and this year that very Coleman Love made history at the new center of African-American history, the Smithsonian’s National Museum of African American History and Culture. On October 4th, a Que asked a Delta to be his wife in one of the museum’s most beautiful rooms and became the first couple to ever get engaged at the museum. Yes! YAAAASSSS! We at Watch The Yard love this! This has to be one of the Black Lovingest proposals of 2016! 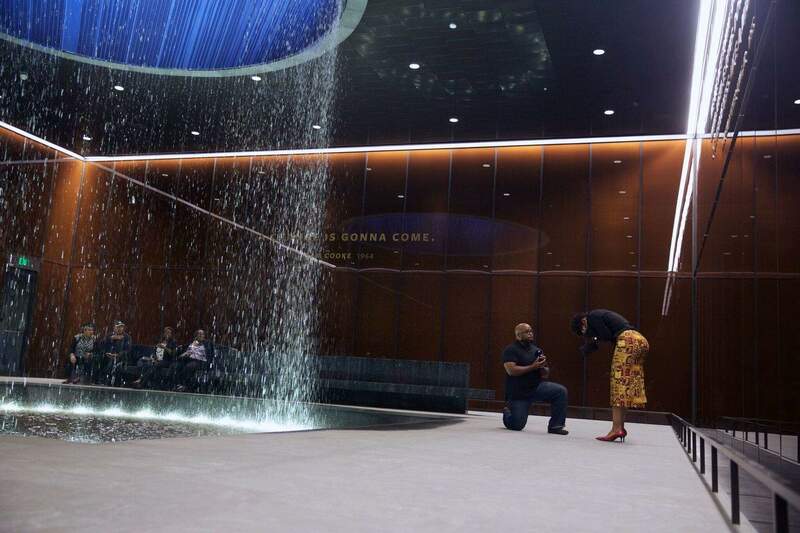 Let’s just look at the facts: A Delta and a Que meet through the National Society of Black Engineers, fall in love, and then he pops the question to her during the historical opening week of the National Museum of African American History and Culture, inside the museum’s Contemplative Court. Like seriously, can it get more Black and beautiful than this?! 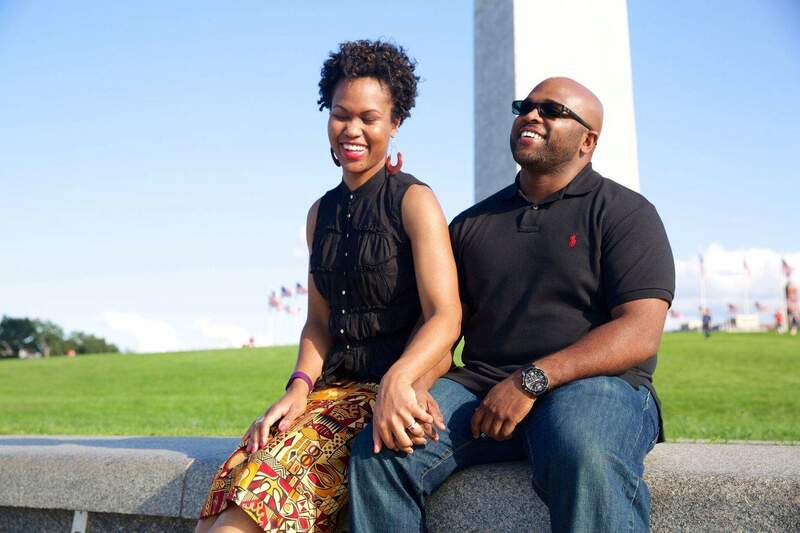 We reached out to the couple via WereGoodCompany.com photographer Haythem Lafhaj(a member of the Xi Chapter of Omega Psi Phi) and they opened up about the engagement and graced us with the details. 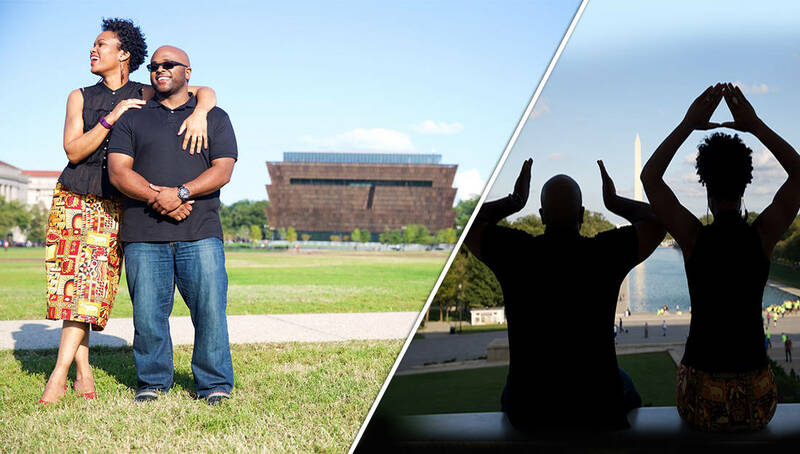 We got engaged at the National Museum of African American History and Culture, the first couple to do so, on October 4th. I chose this location for several reasons. First, the same conference that we met at in 2014 was being held that week, so I figured what better way to celebrate our future together together than to take the next step leading up to the very event that brought us together to begin with. Secondly, I wanted the engagement to be memorable for her, so knowing that the museum would open just 10 days beforehand made it an ideal location. How many people can truly say they were the first do something historic such as this? So with the date and location decided, I began the planning and execution phase. Luckily one of my closest line brother’s lives in DC, he was tremendous help with everything. I tried reaching out to the museum staff for weeks to no avail, which was understandable for the most part, as their priority was the Grand Opening. I arrived in DC on Sunday, October 2nd, she had been there since Friday, September 30th. We hadn’t seen each other in almost three months, so I was experiencing a myriad of emotions when she picked me up from the airport on Sunday. Quite naturally she had no clue what I had planned. On Monday morning she had to get her hair done, during that time two of my line brothers, another fraternity brother of mine who happens to be a photographer in the DMV area, and myself visited the museum to get a feel for how it was laid out, and identify the perfect place for me to ask her to spend the rest of her life with me. Based on the suggestion of a few people whom had previously visited the museum, and were aware of my intentions they suggested the “Contemplative Court.” Upon entering the museum we went straight there, and it took all of 5 minutes and one test picture before I knew that was exactly where I would ask my bride to be for her hand in marriage. We also spoke with guest services trying to see if we could get in touch with someone in the social media department as this would certainly be a historic moment for us and the museum itself. Once our mission was accomplished, we toured the museum taking in all of the exhibits and history of our culture, before meeting up with the soon to be future Mrs. Yates for lunch at Bus Boys and Poets off 14th street. Judgment day…one of her line sisters decided to host us, and a few other line sisters for breakfast that morning. I had met all of them for the first time the night before after my line brother and I picked her up from their dinner together. Breakfast was delicious, we were all having a good time getting better acquainted. But the time had come to set everything in motion, so we headed back to my line brother’s house where we were staying, got dressed and headed towards the museum. Luckily my line brother ALWAYS has his camera so nothing seemed out of place about him bringing his camera and ‘gopro,’ recording us in the back seat of the Uber on the way to the museum. The photographer came up with a great idea of me making sure she was dressed nicely so that we could take engagement photos immediately after the proposal; it definitely wasn’t difficult to convince her to dress for the “occasion.” As we’re in route, just enjoying being around one another, I made sure my line brother had the ring with him so there was no chance she would see it. We entered the museum and started taking in all of the history and stories of our culture, all the while my line brother was speaking with the social media team to alert them of my intentions. We coordinated everything via text message of course, I told him we would be heading to the “location” at 4:00 pm, so the social media team cleared out the room prior to our arrival.